Eastern European countries have been known to be rather progressive in their relationships with Bitcoin for a while now. Poland has once again proven this attitude true. BitBay, a Polish exchange which operates on a large scale, has opened one of the first Over the Counter crypto to fiat exchange. This means that large scale investors, high net worth individuals and instituational investors will finally be able to do what they have been wanting to do for a while: start investing in crypto on a large scale. This follows Binance’s move last week, which has allowed their clients to start purchasing cryptos for cash in one of the hundreds of sores they have across Australia. While Australia has been one of the biggest supporters of cryptocurrencies, Easter Europe has been one of the most progressive regions in the world in terms of their attitude towards it. New legislation is introduced on a regular basis and cryptos are getting more and more incorporated into the infrastructural systems of the different counties within Eastern Europe. So it is not surprising at all that a Polish firm is one of the first to allow OTC crypto-to-fiat trading. Though what is even more exciting, is the fact that BiyBay has allowed traders to start trading with cryptocurrency to fiat pairs. This has been impossible on many exchanges previously. What traders have done in the past is a trade on the exchanges using more stable, fiat supported cryptos, or simply used exchanges to convert one to the other. With such pairings being available to traders no, the industry might start changing drastically. 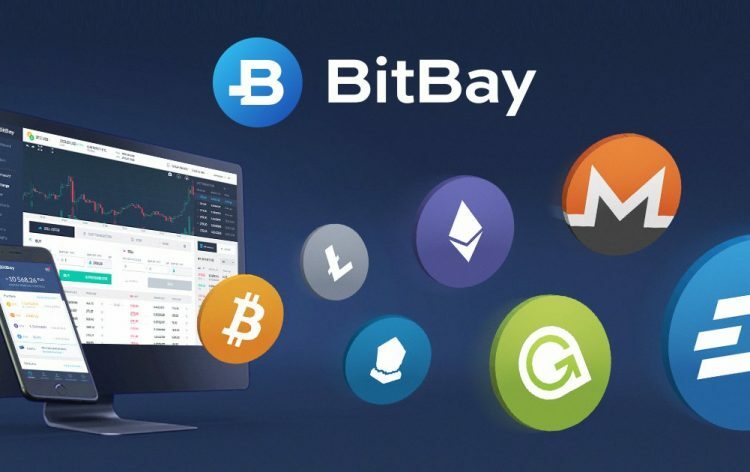 Crypto exchange websites will be facing new competition in the form of BitBay, which will allow traders to directly trade fiat for crypto. What else is the Eastern European crypto industry going to be introducing in the new future? We are not sure, but with the current changes in the Polish attitude towards Bitcoin, some great things might be expected. The change that BitBay has made to its services might just bring it the kind of growth it has been looking for, and result in more people being interested in cryptocurrencies than ever before. While we are not sure what Eastern Europe holds for cryptos in the future, we can be pretty sure that there are some exciting things just waiting to happen throughout the world. The world is warming up to the idea of crypto ETFs, with the recent SEC’s announcement that it might be approving the first ever crypto ETF. Exchange Traded Funds, as the ETF breaks down, would be a huge jump in the legitimization of crypto as an investment asset, and might make institutional investors even more interested in the industry. Invesco, for example, believes that the future of BlockChain and cryptocurrencies with ETF in mind might be the best way to go. They believe that blockchain has a great future, and the only thing currently stopping them from going full in on investment into the industry is the fact that there are no tools to do so without bringing huge risk to the portfolio. They believe that crypto ETFs will be the next big thing on the markets and will result in fast growth for the industry. Whatever it is, the future of crypto looks bright. With BitBay allowing OTC trading of crypto and fiat and allowing new pairs of fiat and cryptocurrencies, we are looking at new exciting market developments. What the future might be we have yet to see, but our expectations are pretty high.